Whether you want us to design new, implement your design or retrofit controls onsite or in our shop, McGee Systems, LLC is the right partner. We maximize up time, cycle time, and total production while eliminating lengthy troubleshooting down time. With over 15 years of experience in industrial controls we should be your first choice for all your control needs. Small or large projects, we can complete them on time and under budget. or change all necessary parts. We change the controls Modernizing it to the latest technology. Eliminating unnecessary wire and tubing to streamline the machine and simplifying troubleshooting. With offices located in beautiful Lorain and Avon Lake, Ohio near the shores of Lake Erie, McGee Systems, LLC is a niche company in business to transform your old machines into machines that work like new. 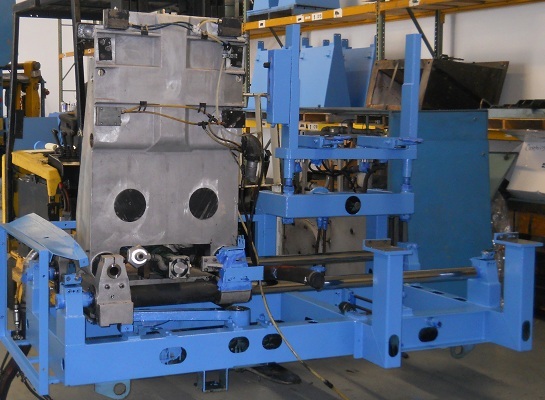 We are experts in automation, rebuilds, retrofits, custom made parts, and used machinery. McGee Systems, LLC will work with you to determine the machine and automation needs that will benefit your business. We are a complete system supplier dedicated to ensuring that your electrical, controls, pneumatics, mechanical and hydraulics are all working together to make your machines more productive and profitable for your business. We specialize in designing new systems and expanding your existing systems. McGee Systems, LLC understands the importance of timely and accurate project completion. We assume continued responsibility throughout every phase of your machine upgrade delivering high quality and complete satisfaction at a fraction of the cost of purchasing a new machine. With more than 20 years experience in working with companies to update their old machines and controls, McGee Systems, LLC is the right company to partner with your business to increase your productivity and profitability. Contact us today to setup an appointment to let us tell you how we can help your business.